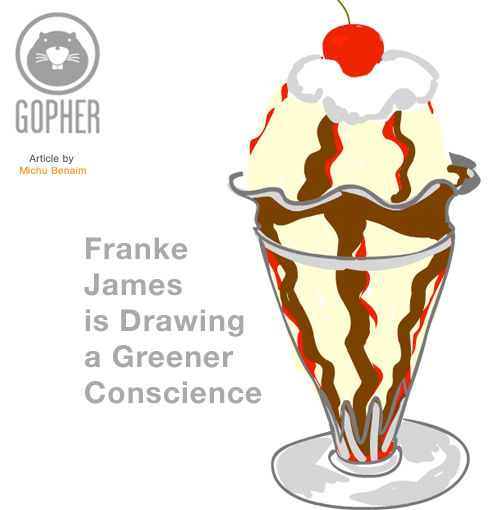 “Posting about climate change and a green conscience may strike some as preachy, and we at the Gopher have to confess a great deal of pickiness when it comes to reading up on it… Franke James is the opposite of preachy. She is the fairy godmother of green conscience, a concerned citizen and a terrifically talented storyteller. 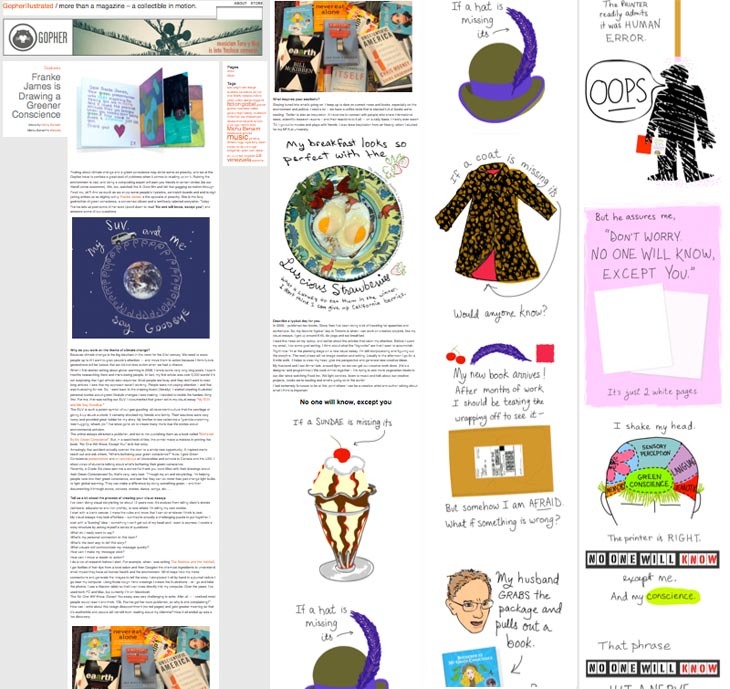 Today Franke lets us post some of her work (scroll down to read “No one will know, except you“) and answers some of our questions.” Read….